Planning to visit Beijing and are wondering about the best things to do in Beijing and where to go? Find out about the best places to visit in Beijing and fun things to do. 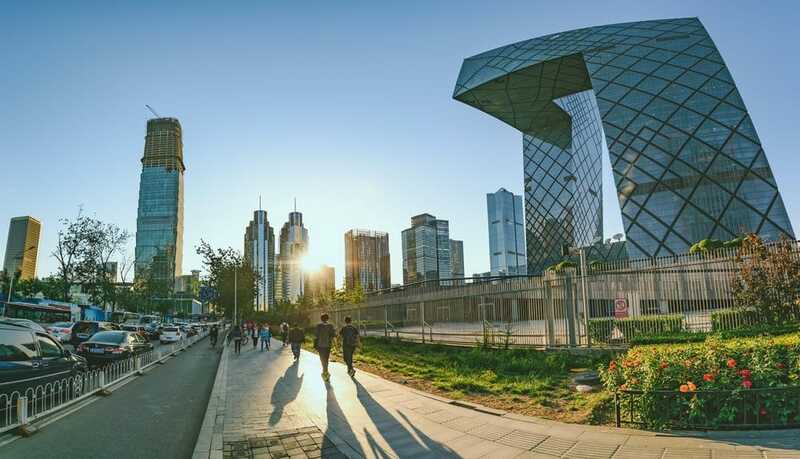 Before talking about the best things to see in Beijing you´ll find some important travel info which will help you to get around and to make the best of your Beijing trip. The number one thing most people don’t realize when planning a trip to Beijing is that GOOGLE IS ILLEGAL! Once you get to Beijing, the internet there will completely block your connection to anything that the Chinese government can’t control. Don’t worry – there’s a way around it. If you want to be able to access all your normal social media, including Facebook, Instagram, Snapchat, Twitter, etc., you will need a VPN BEFORE getting on the plane to go to Beijing. I personally used the app called “ExpressVPN” which can be downloaded on both your phone and your computer. Once you download it, it will cost about $12 a month (I only went for 5 days, so I paid for a month’s worth and then canceled it until I need to use it again). It will then allow you to choose where you want your internet connection to come from and will override the internet in China. Another tip I find important: Credit/Debit cards aren’t popular in China. You can find places that accept major cards in touristy areas but if you’re looking to really get a taste of Beijing’s culture… you’re going to need cold hard cash. There are plenty of ATMs though, so it’s easy to get money off your card once you’re there. Or you can do what I did and exchange your money before heading out. Most major banks will do currency exchanges as long as you exchange a minimum amount of money (usually a few hundred dollars) and allow them a certain amount of time to get it to you. If you do everything last minute like me, you can also use Travelex to exchange money and get it within 24 hours – or even better, sent to your house! The only down side of this is that the exchange rate is usually worse when going through them. Whenever I took a visit to Beijing, my number one concern was how I was going to get around. I didn’t know a SINGLE word in Chinese – literally. Luckily, Beijing knows what’s up when it comes to making transportation easy. The best way to get around is the Subway. Everything is written in Chinese AND English which helps you read each bus station name and also allows you to realize when you need to get on and off. Each train is labeled with numbers (typically 1 through 5) along with arrows showing you which direction each numbered train is located. 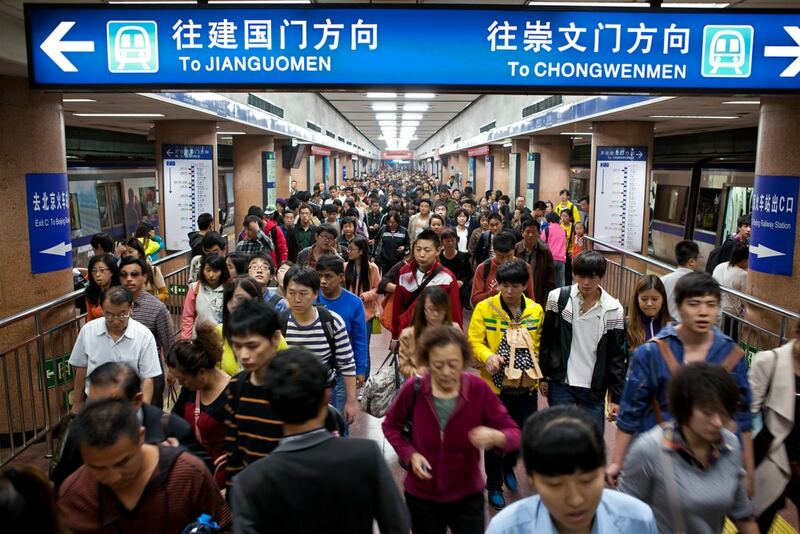 Personally, I think the subway system in Beijing was easier to navigate than the subways in New York. Not only are they easy to understand, but they can take you to pretty much any major attraction in the city you want to go to (except for The Great Wall). You can read more information about the Beijing subways here. Having the address you want to go to written in both English and Chinese is a life saver! That way you know where you’re going and the driver does too. Be careful with certain drivers though. China is a place full of bargaining so there’s no set price for each ride. Make a deal with the cab driver BEFORE leaving to your destination so that they don’t try to scheme you once you arrive at your destination (because trust me, they will try). One is the “Tea Party” scam. This involves a local coming up to you and starting a conversation and then inviting you somewhere for tea. They’ll be really nice and take you into an unfamiliar area. Once they get you in there, they’ll have tea with you – like they originally told you they would – but once you go to leave, they’ll demand money for the tea you drank and won’t let you leave until you hand it over. There have been many people scammed out of hundreds of dollars because of this. The second biggest scam is the “Rickshaw” scam. Rickshaws are the three-wheeled taxi’s that look a lot like bicycles. Some are legit but some aren’t. The people operating the fake rickshaws will try their best to convince you to ride with them to your preferred destination but then take you into an alley instead demanding money. I personally have talked with a girl who had this happen to her. Luckily someone had walked by and saw what was happening to help her out. I don’t want that type of thing to happen to anyone, so be sure to stay away from the Rickshaws just to be safe! Beijing’s air is overly polluted. The pollution is so bad sometimes to the point where you can’t even see buildings across the street due to the air blocking the view. This is why you may see many locals wearing doctor’s masks. This helps them from breathing in some of the chemicals in the air. I recommend taking a few masks for yourself as well because you never know when the air may turn nasty while you’re there. Toilet paper is the next weird thing to add to the suitcase. Most touristy places will have American style toilets with toilet paper, but this is found to be a luxury in China. Many Chinese toilets aren’t very sanitary and may just be a hole in the ground (literally). Some don’t include toilet paper, so be sure to have some on you in case you can’t hold it in and need to go. The last thing you want to happen is to get caught peeing without something to wipe with! The best time to visit is around September when it’s still warm but not too overly hot. Just be sure you’re not going during a Chinese holiday. Beijing alone has 21.5 MILLION people which makes the traffic too crazy to get around during any major event. Click here to find out if you need a visa for China. I’m a huge fan of saving money while still getting my money’s worth, therefore I’m definitely going to recommend staying in a hostel. I stayed at the Happy Dragon Saga Youth Hostel just a 10-minute walk away from the Dengshikou subway station. The location allowed me to go everywhere I wanted to see since it was so close to the subway. On top of the location… the staff, guests, and rooms were absolutely amazing. The hostel had it’s own rooftop and the cutest little bar. The best part – it only cost me $50 USD for 5 nights! Click here to check out a full review of the Happy Dragon Saga Youth Hostel. Here are more things to know before traveling to China. Let´s get started and find out about the best places to see in Beijing. 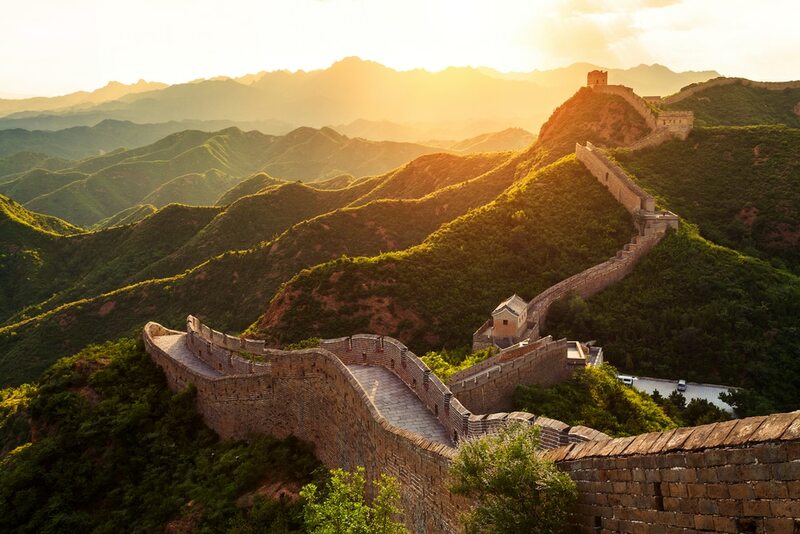 The best place to visit in Beijing is the Great Wall – this is the main tourist attraction in Beijing and this is for a reason. The wall is over 13,000 miles long (over 21,000 km) and over 2,000 years old. The history is what really draws people to it. 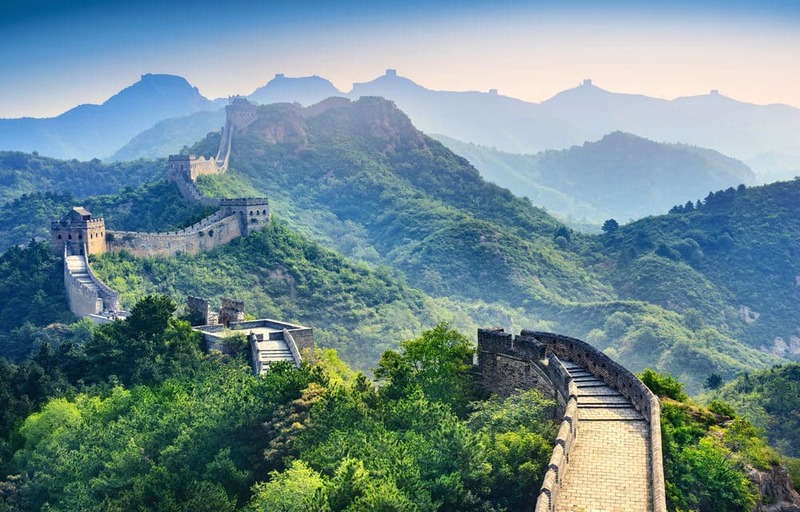 It can be pretty tricky getting to the wall since there’s no public transportation that goes that way, however, do not miss out on this amazing landmark in Beijing. I suggest taking the Mutianyu Great Wall Tour with Happy Dragon Hostel that I mentioned earlier. Their tour includes transportation to and from the wall, entrance to the great wall and lunch afterward all for around $40! Which is crazy cheap considering just one way to The Great Wall is an hour and a half drive. In most places, you couldn’t even get a taxi for that price – let alone everything mentioned above! You can decide whether you want to take the steps or the lift to get up and from where to start. 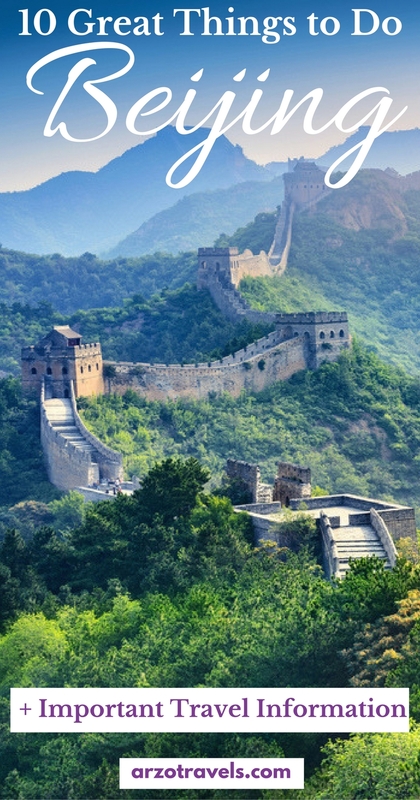 Click here if you want to walk the Great Wall with kids. When in Beijing you have to visit the Summer Palace. The Summer Palace is one of the largest parks in Beijing that is surrounded with gardens, lakes and, of course, palaces. As an architecture nerd, I can’t begin to tell you how amazed I was with The Summer Palace – definitely a places to add to your Beijing itinerary. 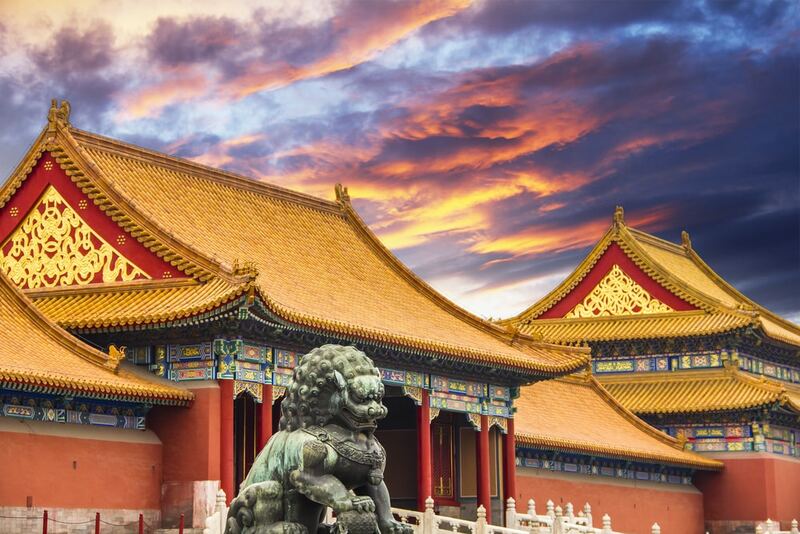 Whether you stay 2 days in Beijing or longer, do not skip this Beijing point of interest. First off: it is HUGE. It is definitely something you should expect to spend all day doing because once you go in it seems like it may never end. And second: it is beautiful. The details in the buildings and the views beyond the water will make you fall in love with the Chinese culture. The price isn’t too bad either. It costs about 60 RMB to get in (about $10 USD) and there are little extra entrances inside the park that you can see for about 2 RMB each (about $0.30 USD). Do not skip these extra entrances inside! They all contain absolutely beautiful buildings that are even more amazing than the rest. 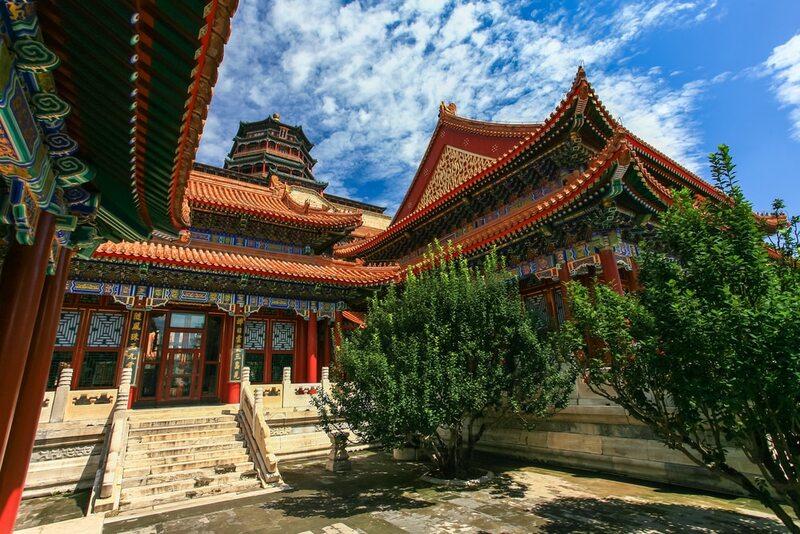 The Forbidden City doesn’t have as much beauty as The Summer Palace, but it definitely has more history. This tourist attraction has been a museum for the people since the 1920s. Before the 1920s, it was, of course, a palace for the kings before our time. You can find buildings upon buildings in this one area. It’s extremely easy to spend an entire day there. 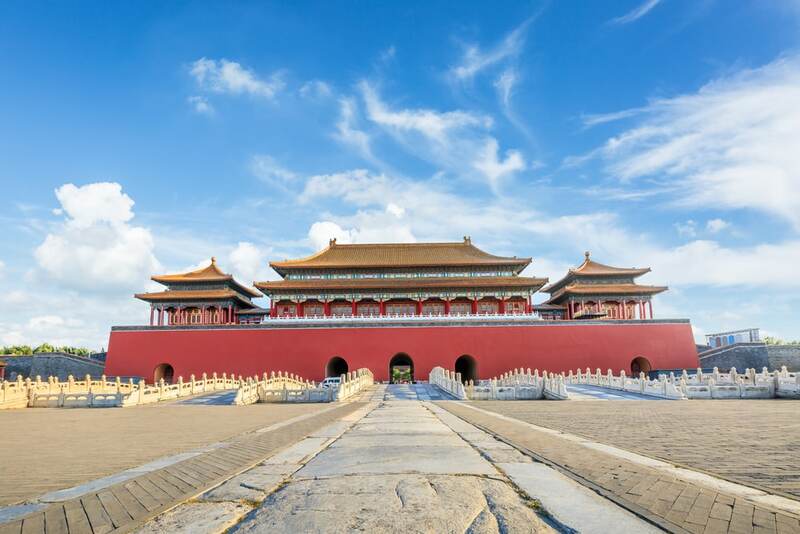 If you were to spend a day in each room throughout The Forbidden City, it would take you over 23 years to explore every palace! Isn’t that crazy? Another places to visit in Beijing China. It’s pretty simple to get to the Forbidden City – the subway can take you there – and it only costs about 60 RMB (about $9USD) to enter. Plus I had the BEST smoothie ever while I was there…. if that doesn’t make you want to go, what does? Do you prefer guided tours? Then check out rates for organized tours to the Forbidden City. To see a Chinese Opera show is another thing to see in Beijing. In my opinion, this is a fun hidden gem because you don’t hear many people talking about going to one – plus my hostel throws in an extra perk. For 180 RMB (or about $28 USD) they will take you to the theatre and get your entrance ticket for you. Not only will you be able to see the live show but you’ll also get to go back and see how the performers put on their makeup before starting the show. After the show is over, you’ll have to find your own way back but no worries, just hop on the closest subway and take it back to the hostel or go exploring some more! Want to See More Places in Beijing? 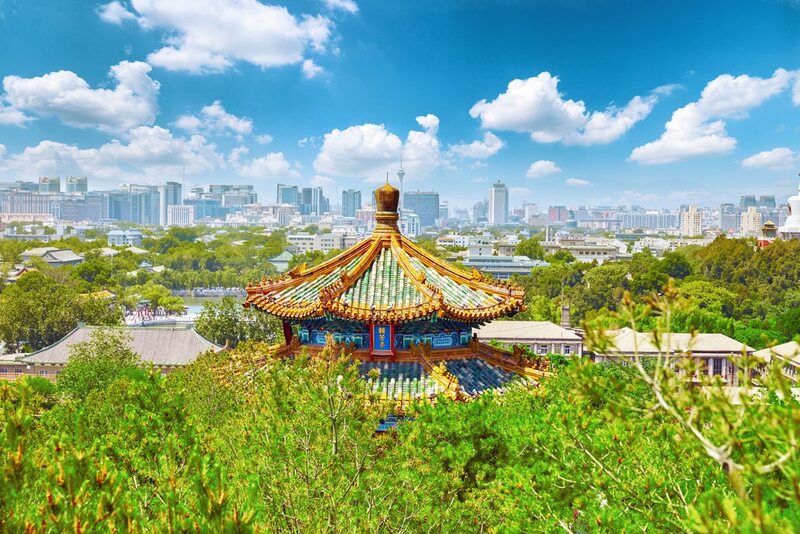 In Beijing, you must visit the Jinshan Park. The Jinghsan Park is a small park-like area behind The Forbidden City. If you decide to skip The Forbidden City, I still recommend going to this place. It only costs 2 RMB to enter (about $0.30USD) and it has a staircase that goes all the way to a building that shows you an entire view of both The Forbidden City and the entire city of Beijing. It takes a little bit of time to climb the stairs but it’s SO WORTH IT. The view is worth so much more than just thirty cents! Another top thing to do in Beiijing is to visit Wangfujing Street. 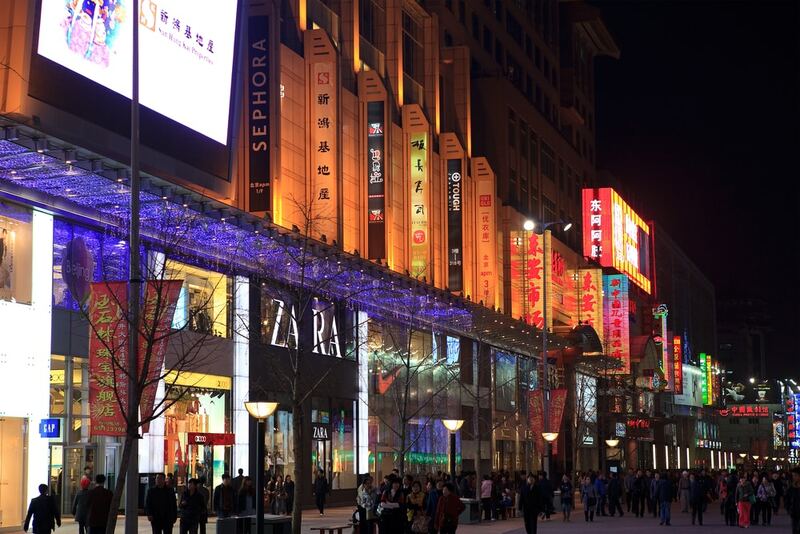 If you love the nightlife or shopping, Wangfujing Street is the place to be. Once the sun goes down, their lights go up and people are all over! This is where you’ll find the craziest things to eat such as scorpions and starfish. It’s also where you can go to haggle with the Chinese to get a good deal on neat souvenirs. On top of that, the entire street is filled with Chinese clothing stores… you even see some familiar American stores every now and then! If you’re looking for a shopping area that’s not so touristy, check out the Nanluoguxiang Hutong. There are tons of Hutongs in China and this is one you’ll find a lot of locals hanging out at, especially for the food. Along with the food, you’ll find more shops that are less haggling and more set like American stores due to being more branded type of stores. If you go, it’ll be hard to walk all the way down the street and back without wanting to buy something! 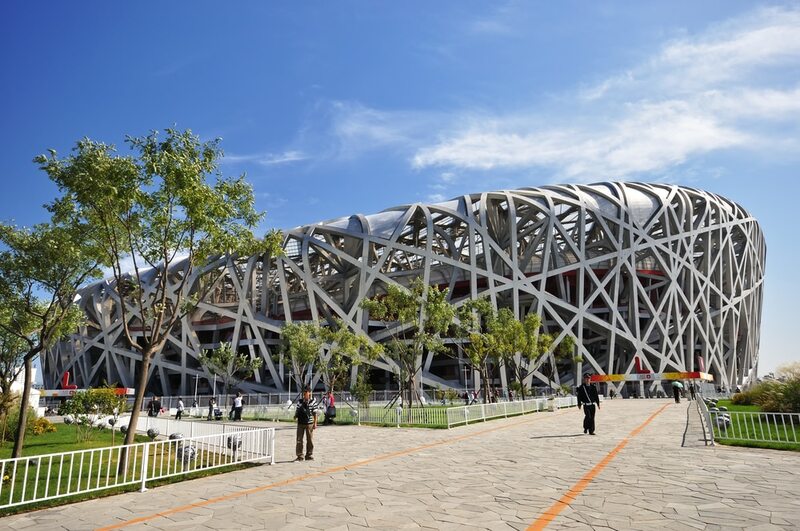 Another top place to visit in Beijing is to visit the Olympic Park. The Beijing Olympic Park is another cool place to hit up at night. The park has two buildings that glow at night and completely light up the park. These two buildings are called “The Beijing National Stadium” (which is also known as “The Bird’s Nest”) and the other is the “Beijing National Aquatics Center” (which is also known as “The Water Cube”). Just witnessing these two lit up at night is worth the visit, but I also recommend going inside The Water Cube. They turned the building into a water park, so it’s a fun place to take your kids – or better yet, go to feel like a kid again! If you love the nightlife but aren’t much into shopping, check out Migas. Migas is a rooftop bar in Beijing that has an almost 360 degree view of the city. Going at night gives a cool view with all the lights from the skyscrapers. Plus, there’s a bar! The cool thing about the bar in China that I’m not used to in the states is that it was open ALL NIGHT. When I went, I didn’t end up leaving up about 5 AM because I ran into a local that spoke fluent English and she sat and talked to me all and a couple of my friends all night about the history of China. It was definitely the perfect place to relax while having an amazing scenery. As I’ve mentioned before, I’m a huge architecture nerd so this was a big thing I HAD to do when visiting Beijing. People don’t realize that famous architecture is all around the city. Downtown you can check out the famous building CCTV Headquarters where it really brings out the modern architecture. Or, you can go check out The Galaxy Soho that gives off the same vibes that Frank Lloyd Wright gave off when he designed The Guggenheim in New York City. Either way, you go, it’s beautiful architecture. Plus, it’s completely free to admire! Have you visited Beijing yet? If so, which places are your favorites places in Beijing- and if not, which of these places would you love to check out? 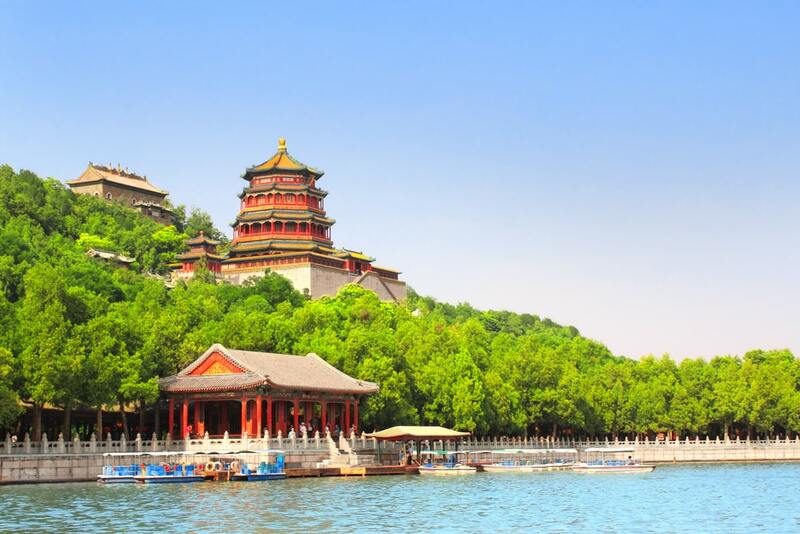 For more on Beijing, you can find a 9 day Beijing itinerary here. Kayla is a US solo-female traveler that specializes in finding travel deals. She has taken trips for only $40 and now shares her deals and travel experiences with others. 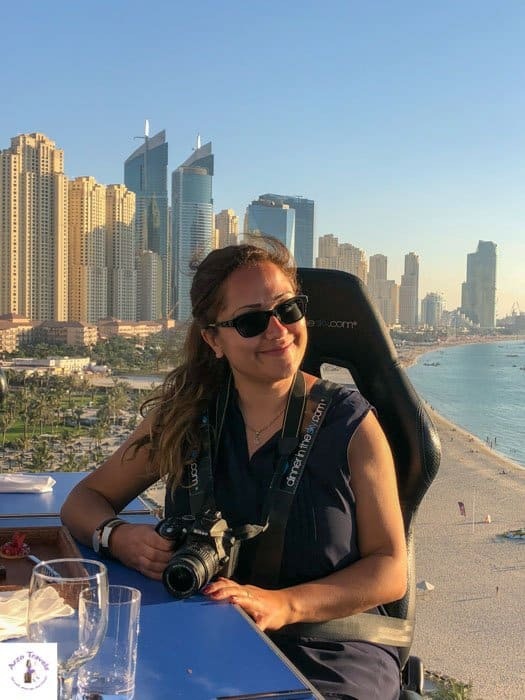 Check out her website where she shares all her travel deals. Follow Kayla on Facebook where you can find deals and occasionally some travel giveaways.